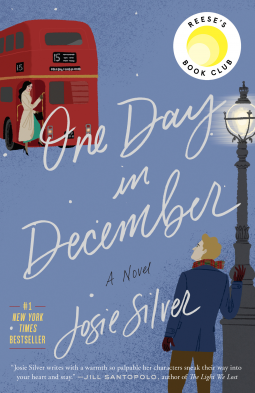 A seasonal title: One Day in December by Josie Silver and One Day in December by Shari Low – Joyce's mystery and fiction book reviews with some non-fiction too! This novel has received a good deal of attention, including being selected for Reese Witherspoon’s book club. It is the story of Laurie and Jack, their friends and families. It is a story of a romance that may or may not go to a happy ending. It is definitely one in which the course of true love “never did run smooth.” If you enjoy light, romantic fiction you might want to join the many who have read this title. Thanks to NetGalley and the publisher for the e-galley. The opinions are my own. I previously reviewed another novel with the same name. That review is reprinted below. I think that I preferred the less well known one, which is this one. 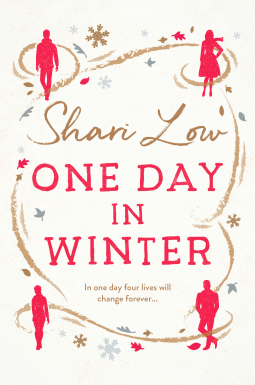 Four main characters and a number of their connections feature in this engaging women’s fiction read. The action takes place over the course of one day with sufficient back story to give the novel some depth. The book begins with a character dying in hospital; it will only be at the end of the novel that the reader learns who this is. As for the characters…Bernadette is married to surgeon, Ken, their union is not a happy one. She, Ken and their two children are one story line. Media obsessed Lila is another; she is involved with Ken and is half sister to the more likeable Caro. Both Caro and Lila’s mothers were married to the same man but they have never met. Cammy wants to marry Lila but gets to know Caro as well. There are others in the novel including Caro’s cousin, Caro and Lila’s parents and an entire French football team! Each chapter follows one of the main characters. I found this book to be an enjoyable read; one of those novels that is good for a time when you want to relax. There will be another book by this author coming out soon.